An Edmonton teen who lost a leg while travelling in Somalia is fundraising for a prosthetic. Abdirahman Ali, a 19-year-old Grade 12 student, says he was hurt in a car bombing while visiting family in Somalia for the first time in January. He lost his left leg and only narrowly escaped the car before it went up in flames. A cousin riding with him was not hurt. Ali spent a month in a Mogadishu hospital before returning to Edmonton. The family says he did not have medical insurance and they now face a $10,000 hospital bill. Fundraising is also underway for a computerized prosthetic, which is not covered by the province. As of Monday morning, more than $24,000 of an $80,000 goal had been raised. 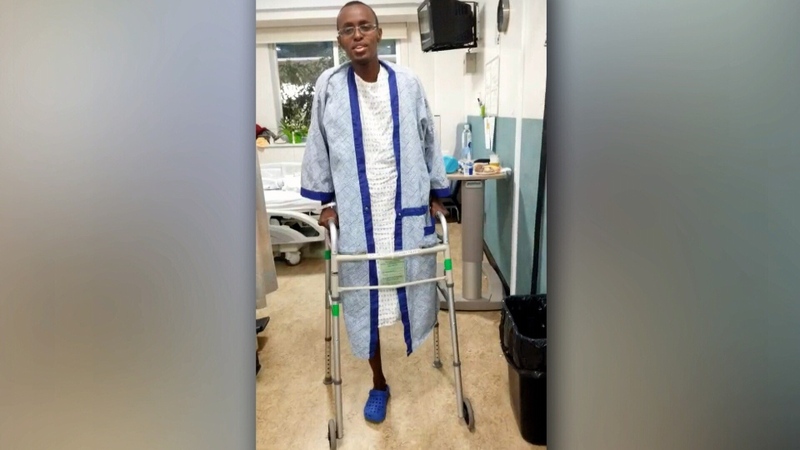 An Edmonton teen says he lost his leg in a car bombing in Somalia while visiting family.